Current Schedule: Core Sleep: 10pm-4am Naps: 6:00-6:20am, 11:20-11:40am, 5:40-6pm. Sigh, I made a rookie mistake today. I feel back asleep shortly after waking up. Thankfully, it was only for 9 minutes as the snooze function on my phone kicked in and finally got me up. 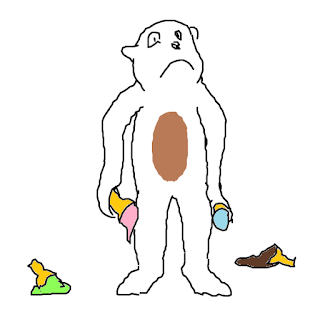 I'm grateful (and surprised) the snooze worked at all, as I've had difficulty just snoozing the alarm vs turning it off completely due to my physical dexterity at that moment being somewhat akin to a sloth juggling ice cream cones for the very first time. 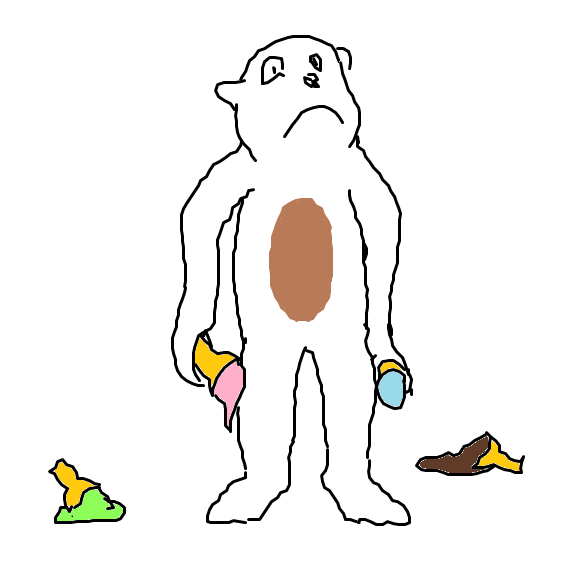 My interpretation of a sloth juggling ice cream cones for the very first time. Nonetheless, I finally got up, and otherwise felt how I normally have been in the mornings. A lingering tiredness, but enough brain power to focus on the task at hand and think clearly. Afternoon and evening naps went well enough. Was moderately tired before and after my third nap, but I chalk that up to my body still getting used to having only 6 hours for my core sleep. No dreams or anything, but I got up feeling refreshed enough to let me know that something good happened. At least, my vitals are doing good so far.